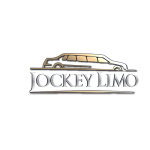 Jockey Limo company of Boston was established to serve any of your transportation needs. We have a growing fleet of cars, big and small, and experienced drivers. Jockey limo offers safe, convenient, fast, and affordable car transportation service anywhere, anytime, in Boston to the place of your choice. we offer the service to our beloved customers, for any occasion either for business or for pleasure. We provide complimentary booster seats, WiFi, snacks, and water. we pride ourselves in having the cleanest fleet in Boston: all cars get washed and detailed before each run! our mission is to make your life easier and safer.